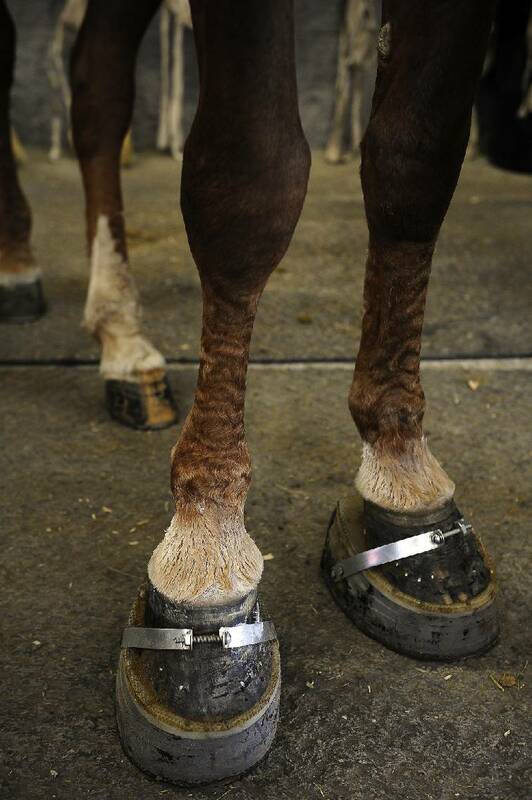 In this May 18, 2012, photo, a walking horse is fitted with a "package," raised shoes that raise the front legs of the horse. WASHINGTON – A federal regulation finalized in the waning days of the Obama administration to end the abusive practice of horse soring is on hold. The new rule was supposed to be published Tuesday. But on President Donald Trump's first day in office last Friday, the White House issued a memorandum for all unpublished rules to be withdrawn and sent back to the relevant agency for review.